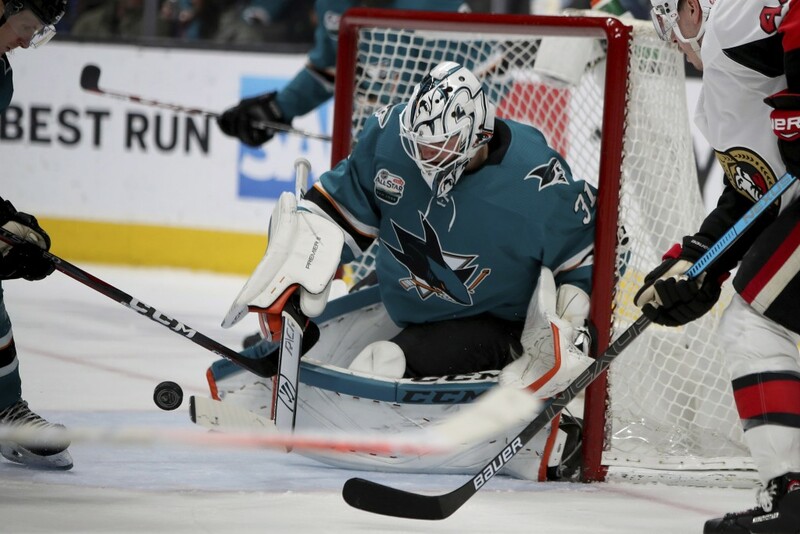 SAN JOSE, Calif. (AP) — Brent Burns scored his fourth game-winning goal, Martin Jones made 27 saves and the San Jose Sharks beat the Ottawa Senators 4-1 Saturday night. 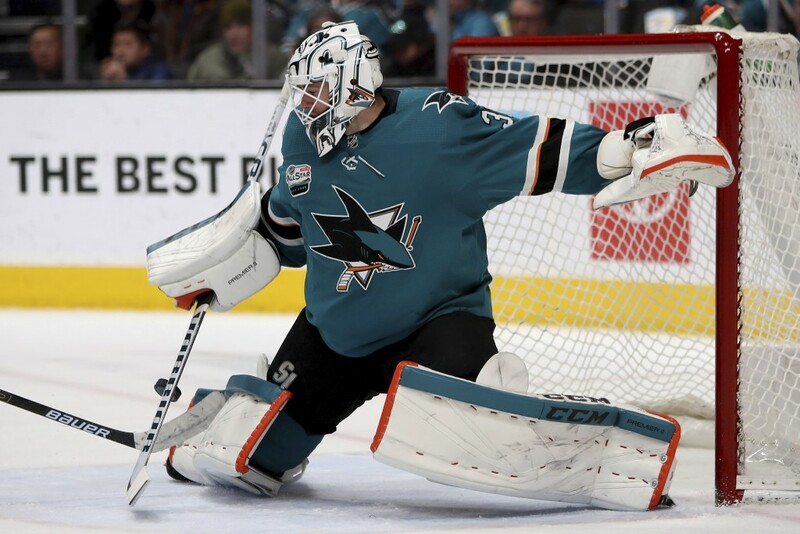 Pavelski gave San Jose a 1-0 lead with 2:03 left in the second period, when he took Tomas Hertl's feed and drilled a rising wrist shot top shelf over Nilsson. It was Pavelski's team-leading 26th goal, putting him on pace for 45 this season, which would be a career high. Burns made it 2-0 at 6:17 of the third when he sent a wrist shot to the net that went off Ottawa's Christian Jaros and past Nilsson. Jones' bid for his 21st career shutout ended 27 seconds later when Dzingel took Bobby Ryan's no-look backhand feed and sniped a wrist shot top shelf. 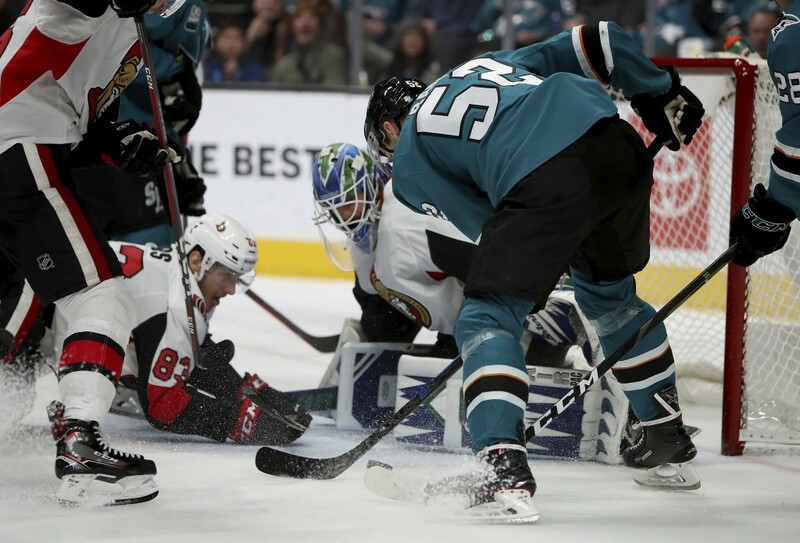 Thornton pushed the lead back to two goals with 4:17 left in the game, as he redirected a shot that started at the top from Burns, and bounced off Timo Meier. Karlsson's empty-net goal with 1:21 left provided the final margin. 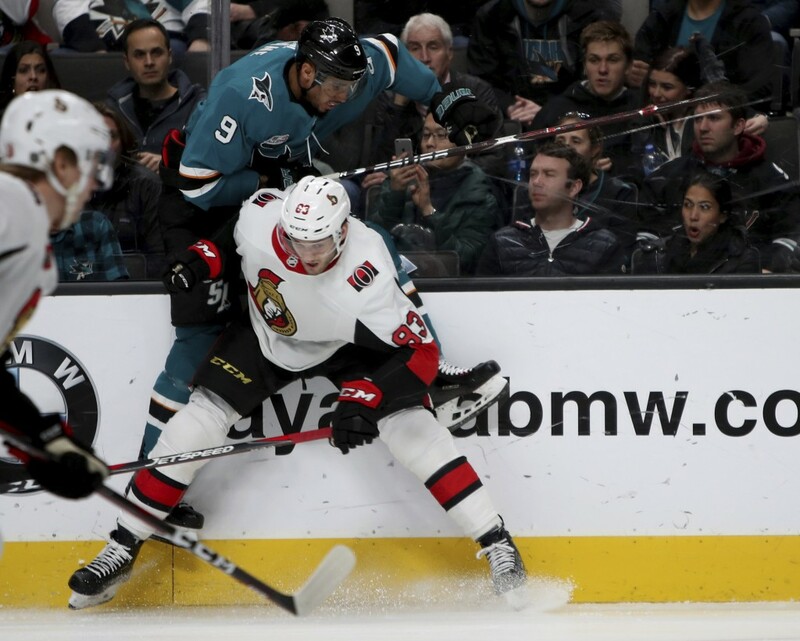 NOTES: Ottawa's Dylan DeMelo and Chris Tierney returned to San Jose for the first time since joining the Senators in the trade involving Erik Karlsson. ... Justin Braun returned to the lineup for the first time since being place on inured reserve on Jan. 5. ... Joe Thornton is one game shy of his 1,000th as a Shark. ... Burns, who became the 113th defenseman to skate in 1,000 career games on Dec. 27, was honored in a ceremony before the game. 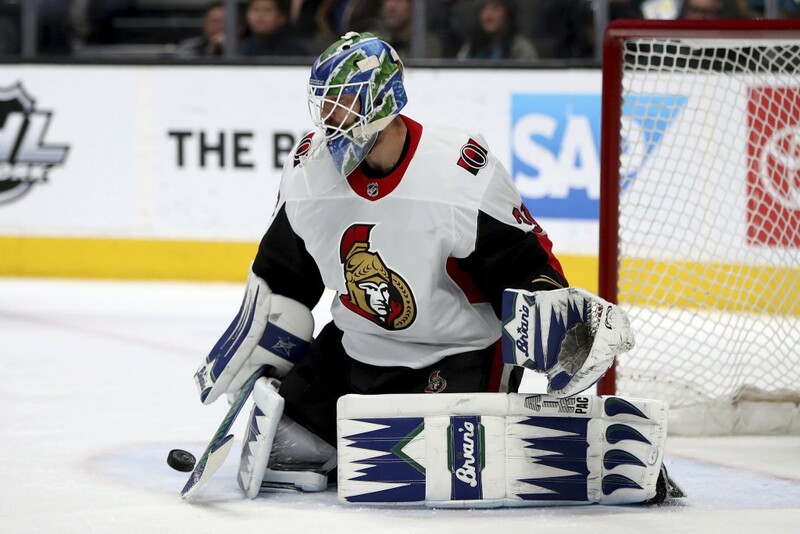 ... Darren Archibald, who was acquired on Jan. 2 in the same trade that brought Nilsson over from Vancouver, made his Senators debut in place of Colin White, who sustained a left shoulder injury against the Kings. 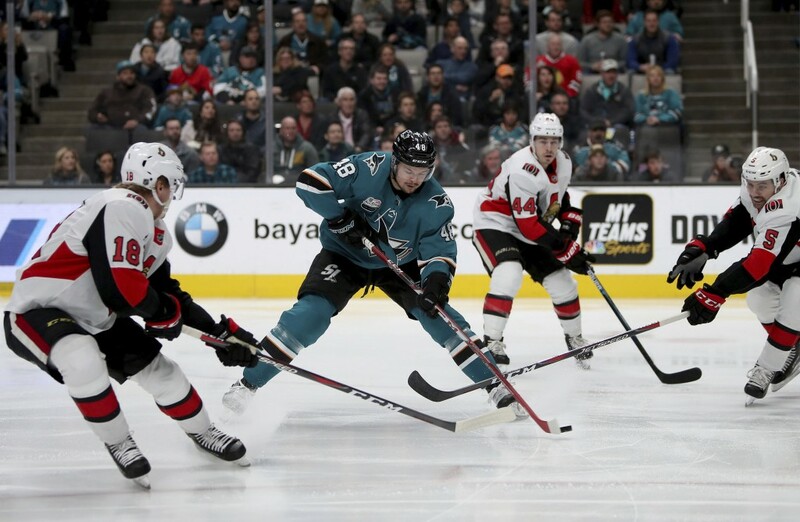 ... San Jose F Joonas Donskoi took a hard hit in the first period, didn't play a shift over the last two periods and was being evaluated for an undisclosed injury. Senators: Host Colorado on Wednesday. Sharks: Host Pittsburgh on Tuesday.